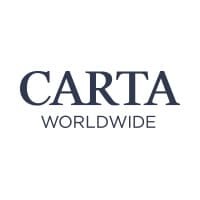 PARTNER NEWS: NXP and transaction technology provider Carta are to integrate Carta’s digital transaction platform with NXP’s NFC capabilities, with the aim of enabling NFC payments, loyalty and offers to be deployed across a wide range of mobile, wearable and connected devices. “NXP and Carta are combining the scalability and broad acceptance of NFC standards with openness and flexibility to enable unlimited opportunities to build merchant-driven value-adds into a single payment tool,” NXP says. “Simply put, the vision is to bring NXP’s strength as an enabler of all things NFC and have that technology as broadly available to enable as many things as possible,” Giles Sutherland, vice president of strategic alliances at Carta, told NFC World. “The focus is not limited to any one product or any one type of device. It’s about bringing together Carta’s software with NXP’s role at the heart of the NFC ecosystem. “One of the areas we’re seeing a lot of growth is within wearables and the Internet of Things (IoT). Carta’s technology can come together to complement the deployment of core payments through wearable devices as well as other use cases such as value added services like offers or loyalty. “We see apps using less robust and less secure solutions like QR codes as a result, but if we can bridge this gap, we can open up great opportunities. So the partnership is really about taking Carta’s modern technology platform to enable simplified delivery to more devices, more wearables, IoT etc and really expand the type of products that can be deployed leveraging NFC,” Sutherland continued. “NXP and Carta are alike in that our goal is solely to power our partners within the broader ecosystem — we’re not going to be going out and deploying products directly, but we’re bringing two complementary technology strengths together to open up new opportunities for existing players in the industry that are looking to reduce the cost and complexity associated with deploying NFC solutions as well as opening up to a whole new category of service providers.